Willis Van Devanter, the son of a lawyer, was born in Marion on 17th April, 1859. After graduating from Cincinnati Law School he worked for his father's law firm. In 1884 he moved to Cheyenne where he became a railroad attorney. 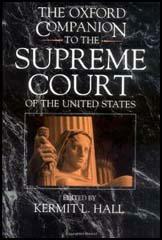 A member of the Republican Party he became chief justice of the territorial Supreme Court. William McKinley appointed Van Devanter as assistant attorney general (1897-1903) and Theodore Roosevelt made him a federal judge (1903-10). In 1911 President William Taft appointed appointed him to the Supreme Court where he soon developed a reputation for his conservative views. Franklin D. Roosevelt, the Democratic Party candidate, was elected as president in 1932. Over the next few years Van Devanter and the other justices who were supporters of the Republican Party, ruled against the National Recovery Administration (NRA), the Agricultural Adjustment Act (AAA) and ten other New Deal laws. On 2nd February, 1937, Franklin D. Roosevelt made a speech attacking the Supreme Court for its actions over New Deal legislation. He pointed out that seven of the nine judges (Van Devanter, Charles Hughes, George Sutherland, Owen Roberts, Harlan Stone, Pierce Butler and Benjamin Cardozo) had been appointed by Republican presidents. Roosevelt had just won re-election by 10,000,000 votes and resented the fact that the justices could veto legislation that clearly had the support of the vast majority of the public. Roosevelt suggested that the age was a major problem as six of the judges were over 70 (Van Devanter, Charles Hughes, Owen Roberts, James McReynolds, Louis Brandeis and George Sutherland). Roosevelt announced that he was going to ask Congress to pass a bill enabling the president to expand the Supreme Court by adding one new judge, up to a maximum off six, for every current judge over the age of 70. Van Devanter, probably the most conservative of all the justices, announced his intention to resign. He was replaced by Hugo Black, a member of the Democratic Party and a strong supporter of the New Deal. In July, 1937, Congress defeated the Court Reorganization Bill by 70-20. However, Roosevelt had the satisfaction of knowing he had a Supreme Court that was now less likely to block his legislation. Willis Van Devanter died in Washington, on 8th February, 1941.